He’s not your run of the mill musician. 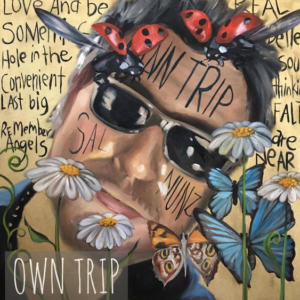 Today, Sal “Nunz” Annunziato, successful CEO of a software security company, Yoga Instructor, humanitarian, author and rock and roll musician, drops his new album "Own Trip," nationally on iTunes. Though it’s all about the music, one would be remiss to not bring up the fact that this riveting and heartfelt album is indeed derived from Nunz’ own personal journey. His storied background, which includes being the grandson of notorious Connecticut mobster, Salvatore “Midge Renault” Annunziato, is filled with hardship and tales of addiction, anxiety and depression. 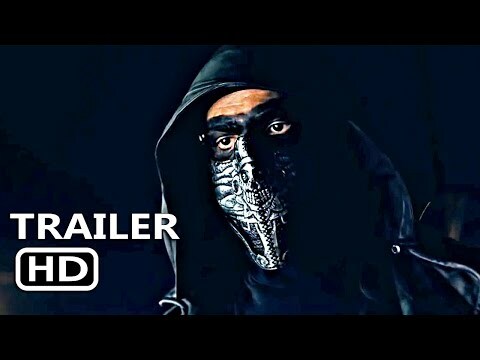 As dramatic and gripping as Nunz’ background is, it is his story of redemption that harnesses the soul and comes through in the melodic and sometimes hypnotic tracks on the album. The album is varied in its range of style but also stays true to its classic rock and roll roots. Some of the tracks are reminiscent of the late 1960s rock with guitar licks that literally take you back to Woodstock, while other tracks, like the rock ballad, Angels are Near, are wrought with hauntingly beautiful instrumentation. Nunz, who is a devoted Yoga instructor, is passionate about bringing people together, no matter, their path, in the journey of life. The red wristbands, which initially were made for Nunz’ yoga class, turned into a movement and as of today he has given out close to 40,000 bands in the USA, Italy, Ireland, Scotland, France, Puerto Rico, Brazil, Uganda, Palestine, Israel, Australia, Thailand, Sweden, China, Norway, Bulgaria, Africa and Germany. In fact, $1 from each album sale will go to funding additional bracelet giveaways across the world. Sal is a singer/songwriter, yoga teacher, and CEO of a software company in New Haven. With over 25 years of recovery from addiction, Sal believes that anything is possible when finding the right tools that work for complete healing. He is Founder of “Love Tribe: Open Hearts No Matter What”, a humanitarian campaign where he distributes a simple red wrist band as a reminder that we are all on this journey together! The campaign instills the virtue of peace and compassion – helping people to recognize that we are all on the same journey and that we can help one another to live lives full of self discovery, diversity, and love.